At last, the battle is over. After the cancer treatment, your doctor said there is “no evidence of disease” (NED) and you are in complete remission. Your tests, scans, and physical exams show that your cancer is completely gone – or at least, there is no trace of it right now. You are warned, however, that complete remission does not mean you are completely cured. However, that doesn’t mean that you should spend the rest of your days trying to tiptoe past the probability of recurrence. While cancer recurrence can happen, there are over 14 million Americans who have successfully beaten cancer. You can be one of them. You would expect that once cancer patients successfully completed a round of treatment, they would be ecstatic and eager to take life by the reins. However, many cancer survivors find themselves at a loss at how to begin. While cancer will always be a huge part of your life, it doesn’t necessarily have to impact the rest of your life. Keep yourself healthy – Yes, the looming threat of a recurrence is common among cancer survivors. While it is possible that your cancer may recur, that doesn’t necessarily mean that it would. To minimize the stress brought about by this, focus on keeping yourself healthy. Reduce – if not eradicate – all lifestyle-related cancer risks. You can do this by eating a healthy diet, exercising regularly, and getting enough sleep. Engage in relaxation exercises, and find ways to be at peace. You’ll be surprised at how better you’ll feel once you know that you have done everything in your power to stop the cancer from recurring, and there is nothing else you can do but live life to the best of your ability. Follow your doctor – Another technique to move on after cancer is to be one step ahead of it. Go to all your appointments and get your follow-up tests. Not all cancers would require close monitoring after remission, so you don’t have to fret about having to do so frequently. Above all, talk to the doctor honestly. Describe your fears and how you feel, and ask about what symptoms you should look out for. 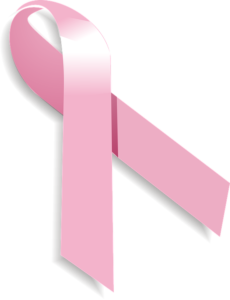 Seek help – Many cancer patients find themselves in emotional stress after successfully completing a cancer treatment. If you are feeling depressed, angry, or anxious, seek professional help. Conquering cancer is life-changing, but again, it doesn’t have to define what you would do for the rest of your life. The sooner you address these issues and the sooner you’re able to let go, the better it would be for you. Above all, never forget to keep busy, and to surround yourself with positivity. Embrace your family and friends and explore new hobbies – you might be surprised to find how much easier you would be able to move on if you have something to anchor you.